The one where Thomas is sleeping. The one where Thomas is sleeping. – 365, 290, originally uploaded by Fluttering By. I made a promise, and I’m totally a girl who keeps her word. Here’s my photo of the day coming to you half awake and at 11pm. 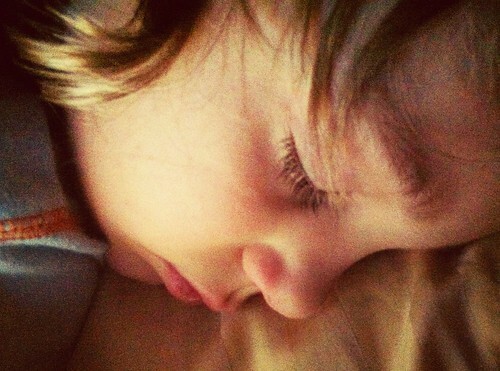 I stayed up to take a photo of the eldest child sleeping to complete my three part series. I didn’t think I was going to make it. There were several times I laid down and closed my eyes and jumped up and yelled at myself to stay awake!! It is now done. Was it worth it? Only time will tell. « Popcorn in Mommy’s Bed!